Hey Guys! 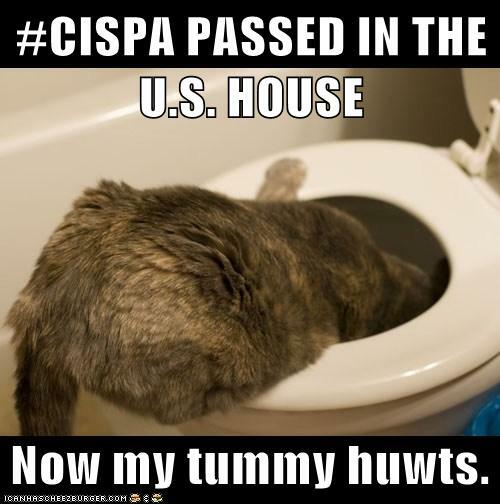 So as you’ve heard, CISPA is the new SOPA. CISPA or Cyber Intelligence Sharing and Protection Act CISPA would permit any private company/website (Facebook, YouTube, Instagram, Pinterest, and Google) to give away any and all personal information it’s collected on you when asked by a government agency. This data would then head to the Department of Homeland Security. They won’t even let YOU now that your personal information has been shared with others (sounds pretty violating to me!)! Luckily President Obama made a statement saying that he will veto the bill if it gets to him! But it is still up to US to make sure it doesn’t get that far! Please help out and go to the links below!! CLICK HERE TO SEND PRE-WRITTEN E-MAIL TO YOUR SENATE! HURRY GUYS! Also click HERE for more information and to find your reps! !